Offer Of The Month – Free Rent Guarantee Insurance ! Yep… You read it correct, free rent guarantee insurance with every new full management listing. 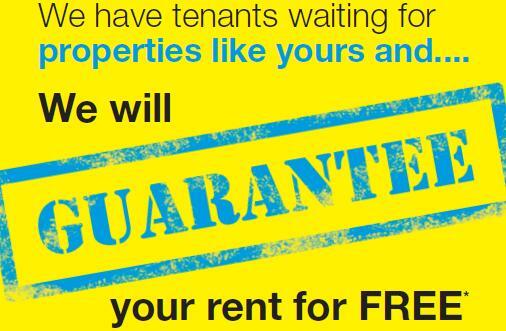 We have access to a range of products including guarantees for all tenants including tenants who are currently receiving housing benefit. All are available for either a 6 or 12 month term and have zero excess. They also include cover for legal expenses in the event that you tenant does not vacate the premises. Our rent guarantee warranties are subject to our own satisfactory tenant referencing.